Kristi: Can you relive your moment of inspiration with us and what sparked your need to explore this idea? Ashley: My co-director, Ericka Vaughn, came to me with this idea. She was inspired by the stories of women who had made huge impacts in the world but for one reason or another (racism, sexism etc.) haven’t gotten the recognition they deserve. We discussed why women in particular feel compelled to step into certain expectations about how they should look and act. It seemed absurd so we headed to the studio for exploration. We further discussed stepping into certain roles: the role of a mother, the role of a significant other, the role of a boss, etc. We realized those titles are just different hats we wear (or in the case of “Imprint”, the shoes!) and while they add texture to your personality, they don’t define you. We ran with that and ended up with 42 different shoes featured in one exciting evening of dance! She was inspired by the stories of women who had made huge impacts in the world but for one reason or another (racism, sexism etc.) haven’t gotten the recognition they deserve. Kristi: The evening will also include a screening of seven dance for camera works created through Project Bound’s One Hour Project. What can the audience expect to see during this screening? Ashley: This year’s One Hour Projects took us from baseball fields to bathrooms and everywhere in between. This is our third season producing these short dance for camera works and I think it has yielded the most diverse range of ideas and Chicago locations yet. This year’s One Hour Projects took us from baseball fields to bathrooms and everywhere in between. We accepted project proposals from choreographers who were then paired with a Project Bound company members and a Chicago based video artist. This newly acquainted team of three met on location and only had 60 minutes to create a 60 second work. While some choreographers came with 1 minute of choreography, some came with just a concept and no matter the method a tiny dance was created. There aren’t any wrong answers for this playful process. We are looking forward to screening these videos at ‘Imprint’ and continuing to expand the project in the future. 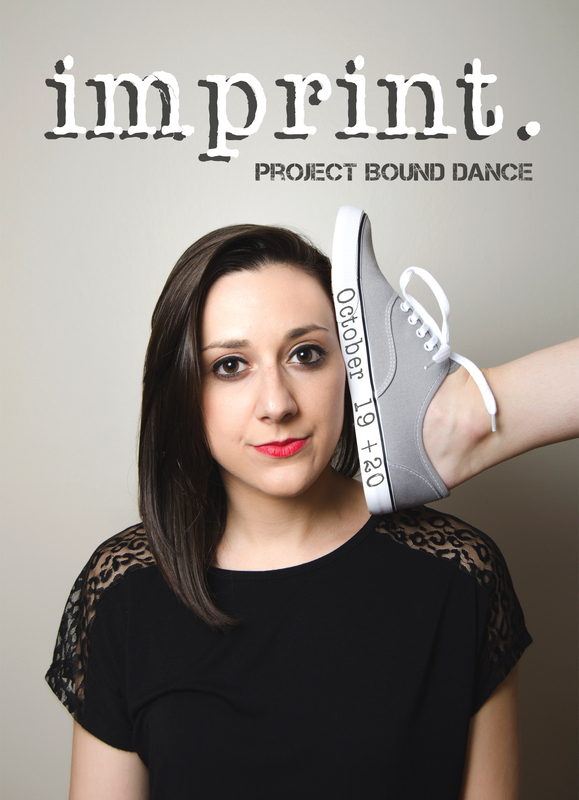 Don’t miss your chance to see ‘Imprint’ at the Hamlin Park Field House October 19 + 20. For tickets to ‘Imprint’, visit Project Bound on Brown Paper Tickets. Stay tuned for our continued coverage of this spectacular evening of dance!